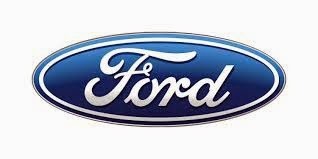 Ford Motor Company (Ford) is conducting a limited regional recall for certain model year 2005-2007 Mustang, 2005-2006 GT and 2004 Ranger vehicles originally sold or currently registered in Florida, Puerto Rico, Hawaii and the U.S. Virgin Islands, and equipped with Takata-brand air bag inflators. Upon deployment of the driver side and/or passenger side frontal air bag, excessive internal pressure may cause the inflator to rupture. Specifically, in the following vehicles, the driver’s air bag inflators are affected: 2005-2007 Mustang. In the following vehicles, the passenger’s air bag inflators are affected: 2004 Ranger. In the following vehicles, both the driver’s and passenger’s air bag inflators are affected: 2005-2006 GT. Want a new Ford Vehicle?